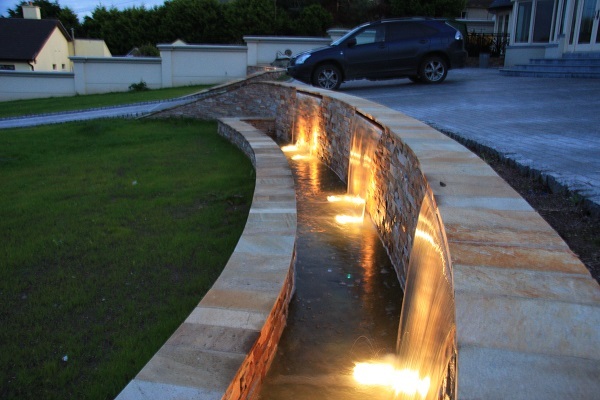 Design & Consultation service available for all projects. 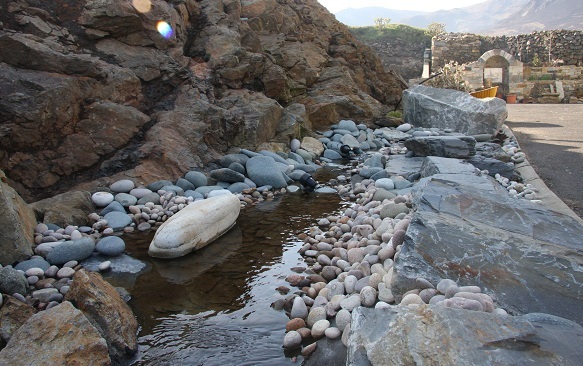 Some installations by Rockworld below. 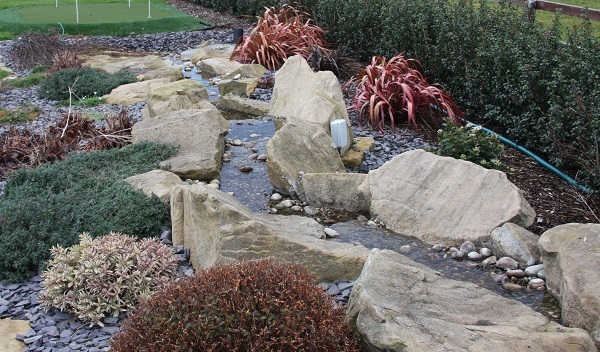 Complete reconstruction of pond and waterfall to former glory. 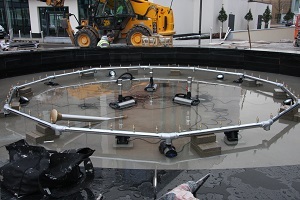 Stainless steel safety grid added to which lillies and planting where added. 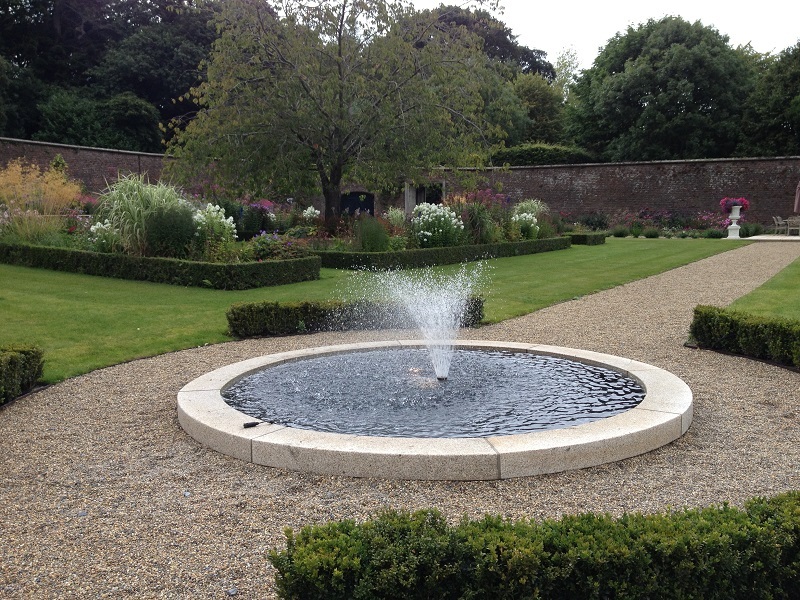 This classic fountain pond sits perfectly in the center of walled garden. 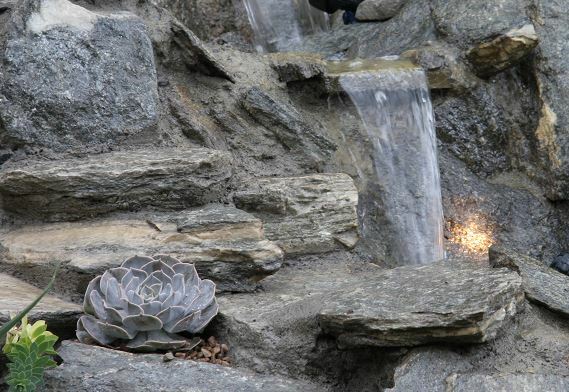 The fountain spray can be turned off to create a reflection pond. 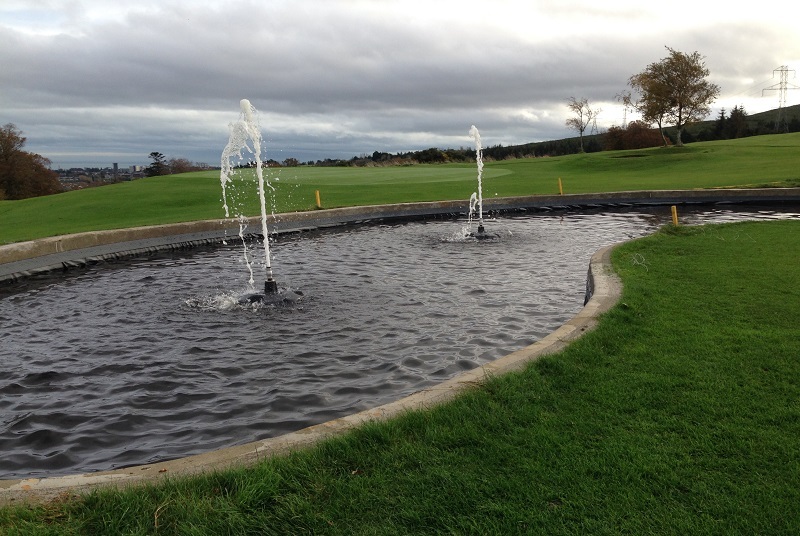 Pond refurbishment, sealing, filtration system and gusher nozzles added to this modernist building to improve water quality and add interest to pond. 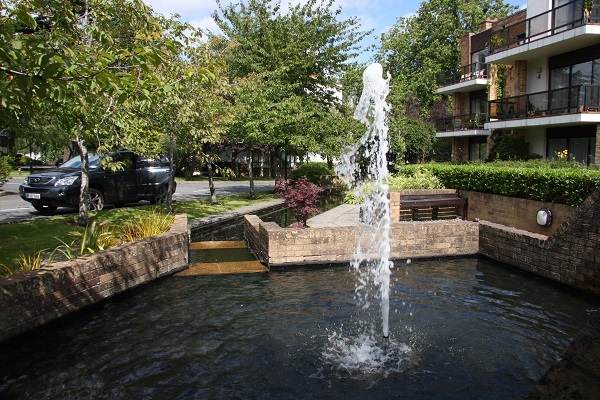 This ring fountain and gushers is a focal point for surrounding offices, coffee shop and hospital. 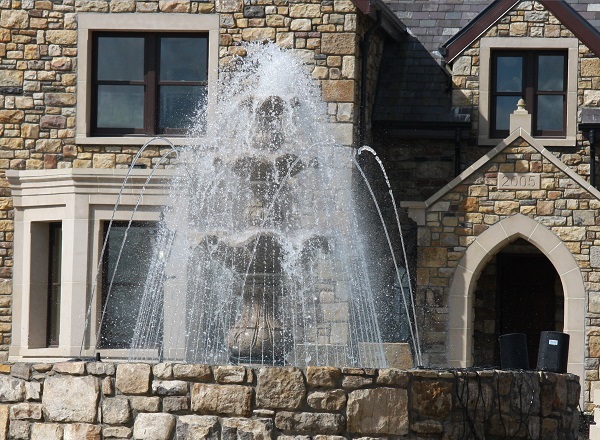 From our initial design to completion this fountain feature has everything our client requested as well as technical features like fountain height is automatically adjusted as dependent upon wind speed (wind control), electronic water level control, overflow drainage armateur as well as colour adjustable led lighting. 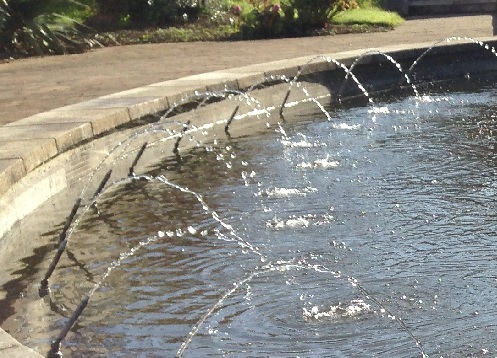 This musical fountain has jets of water that move in time with music. 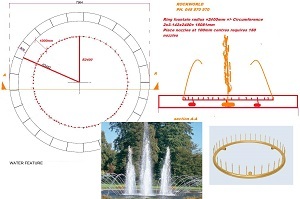 The height of each separate water jet changes to the different beats of the music being played. 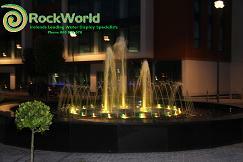 We also programmed colour changing dmx rgb led lights to interact with the dmx programmed pumps. 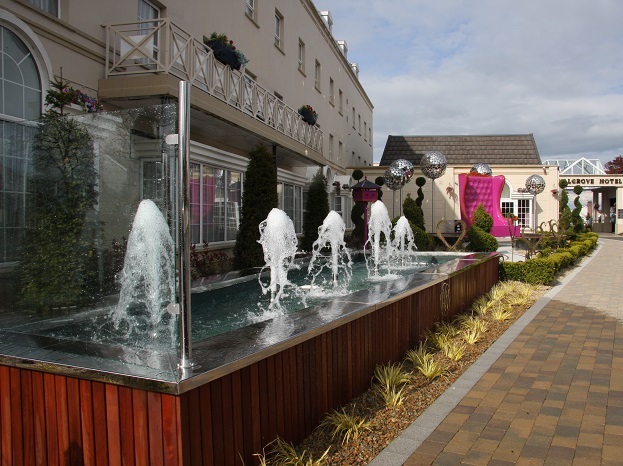 We can create musical and interactive colour changing fountains to your exact needs thanks to our in house expert design knowledge. 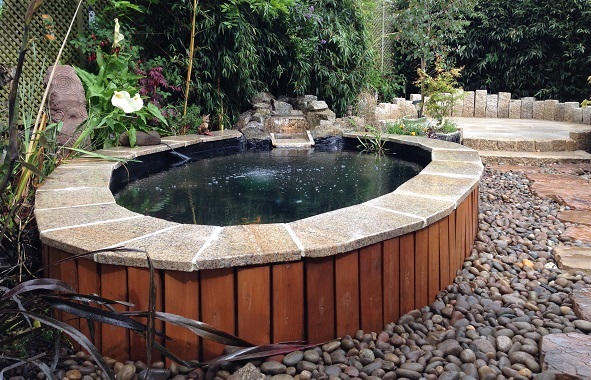 Relaxing raised koi pond designed and installed by Rockworld. 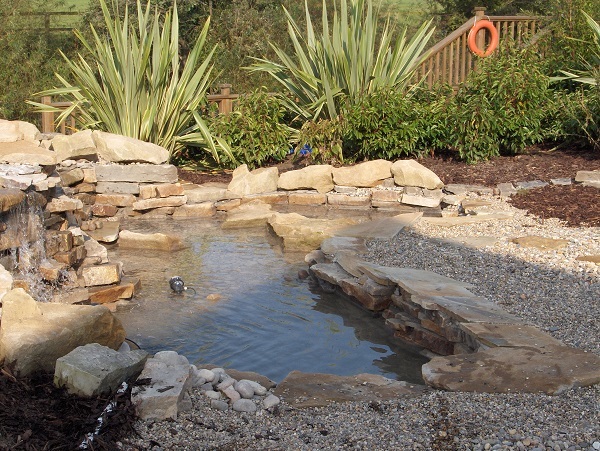 Raised ponds are an ideal solution where digging into ground is not possible. 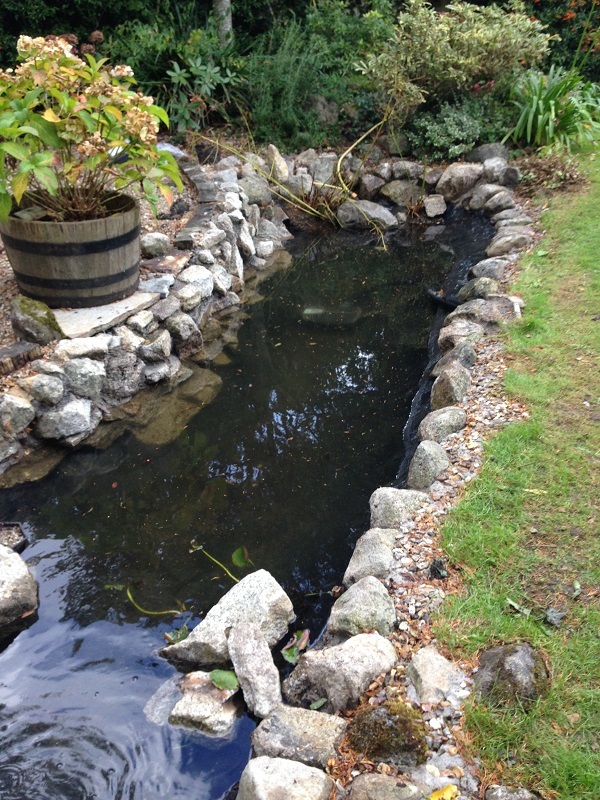 This pond is partly above ground and partly below in order to achieve optimum depth for koi fish. 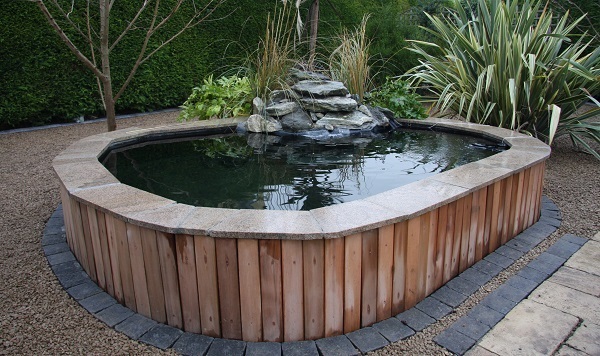 Here's another raised koi pond we installed. 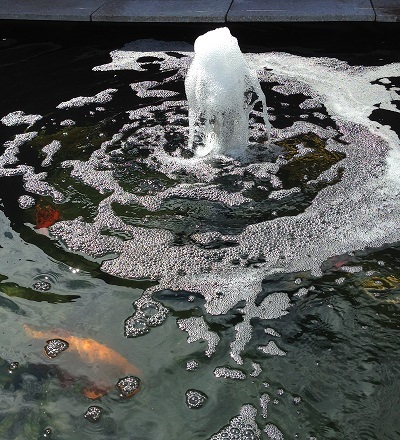 Most of the depth of these koi ponds is below ground level. 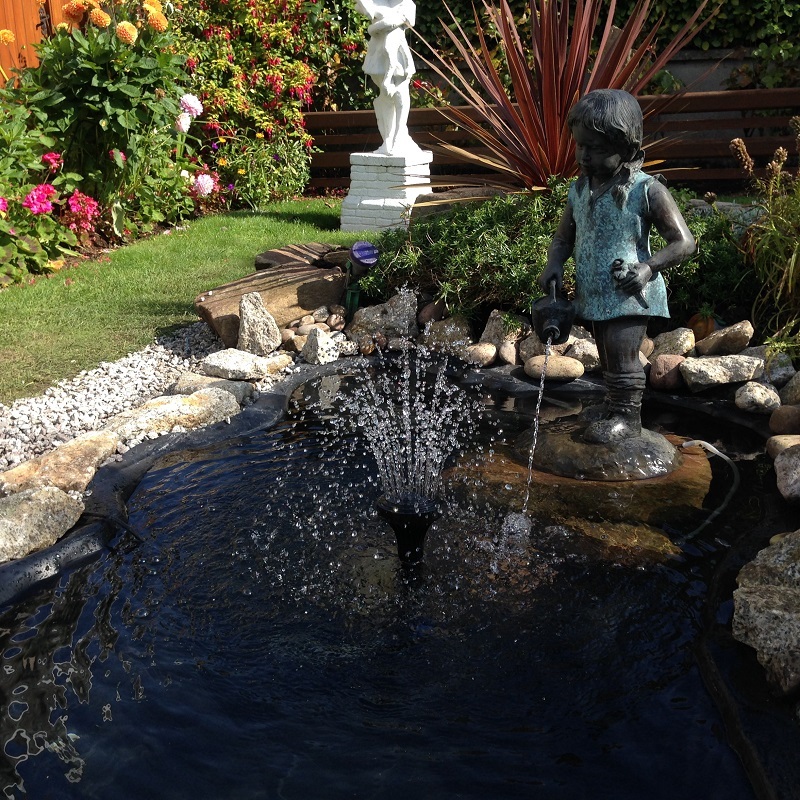 Traditional small pond and fountain. 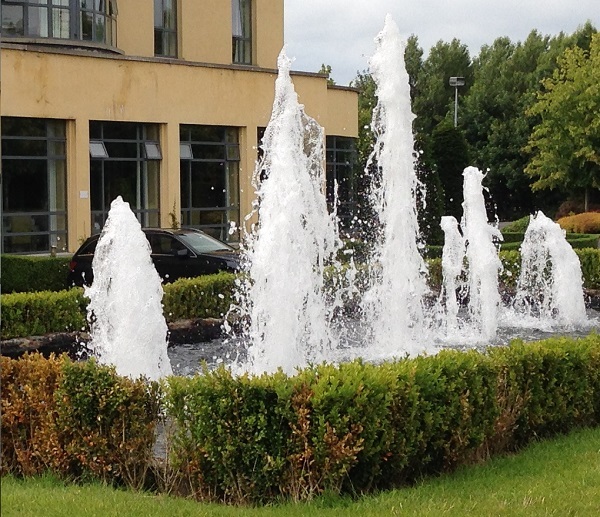 And above is another version of a triple waterwall. 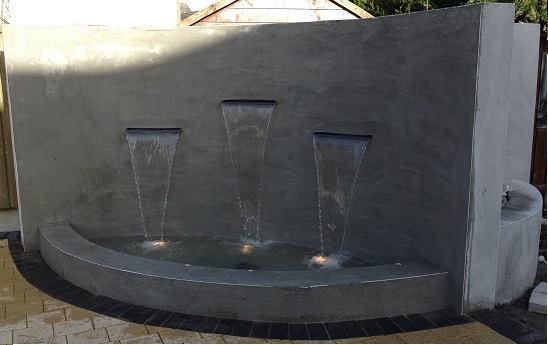 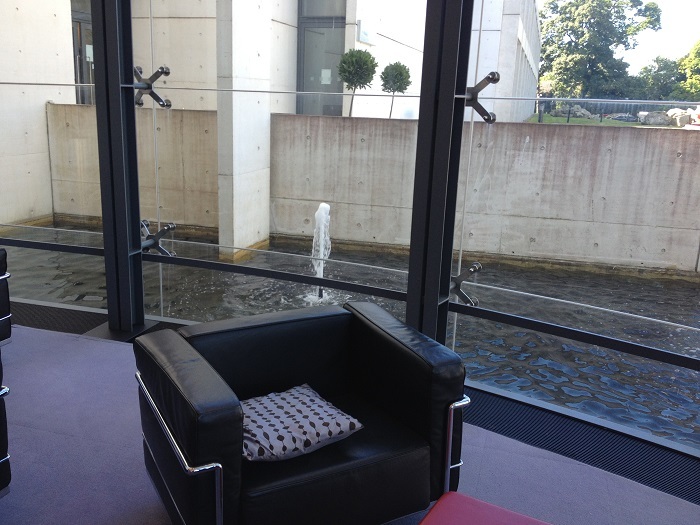 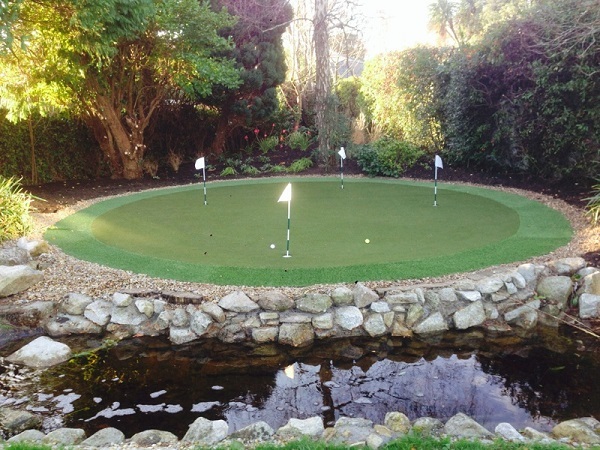 Here we designed and installed a curved wall with three large 1500mm wide water blades. 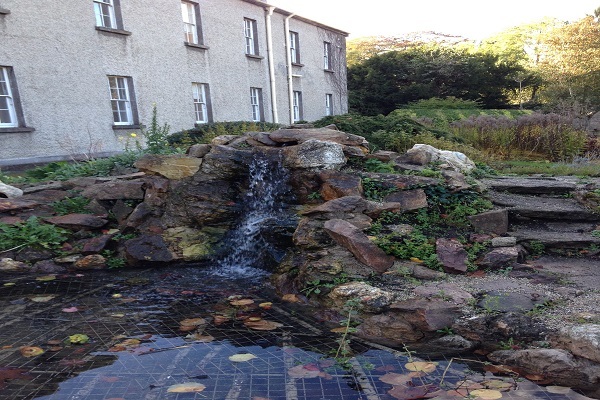 Rockworld Water Features staff completed Year 1 & 2 of the Oase Approved Installer Course,( the only company in Ireland to achieve this as of February 2019). 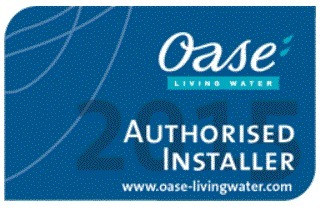 --OASE authorised installers can help you with your project - from the initial planning stages to implementation.